In previous blog Wechat development series 5 – embedded your UI5 application to Wechat app we have successfully embedded one UI5 application within app. Now we go one step further: suppose in our UI5 application we need to retrieve some basic information of current user who has subscribed our Wechat account, for example the nick name of Wechat user, we should follow some special process defined by Wechat, as those user information is sensitive and should never be returned by Wechat API unless Wechat users have explicitly approved that it could be retrieved, that is, the operation to access Wechat user information must explicitly be authorized. 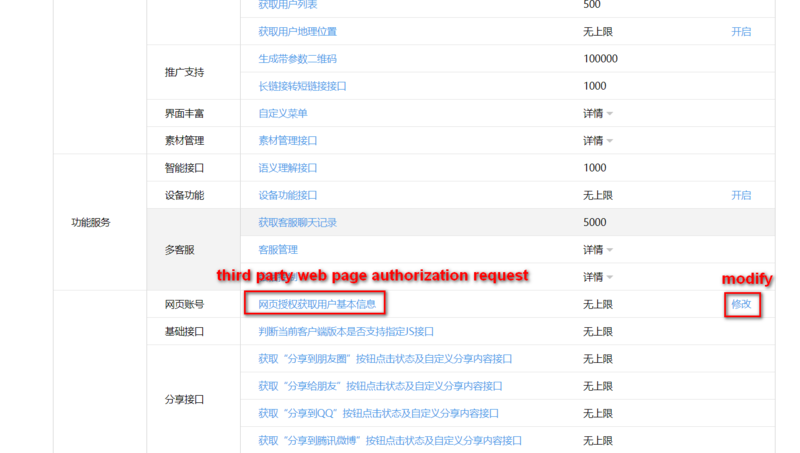 From Wechat official API document the authorization process is defined according to oAuth2 protocol. 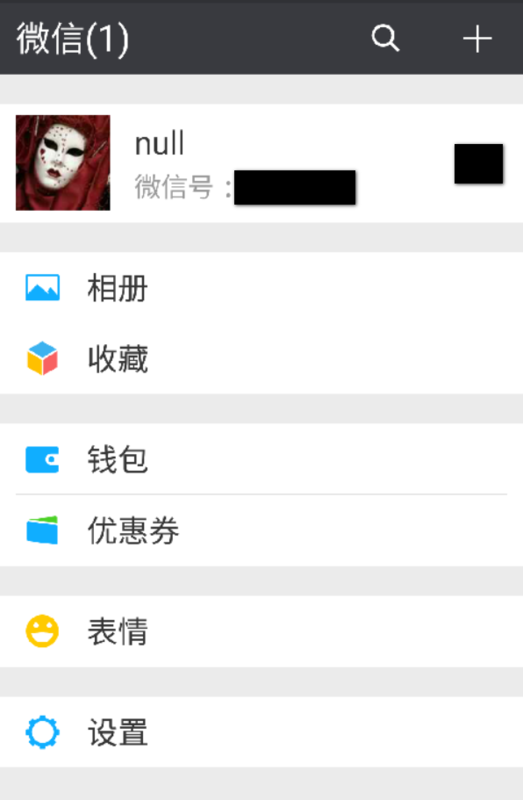 My Wechat account has nick name: “null”. click “modify” button to configure a string to represent the site name of the url which acts as oauth2 callback. 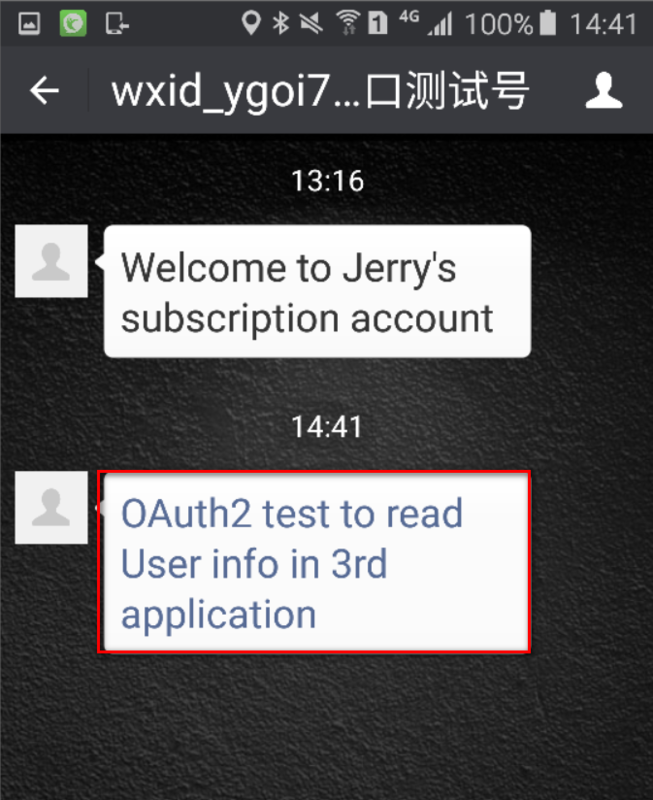 In my example my oauth2 callback url is https://wechatjerry.herokuapp.com/tokenCallback so I must maintain wechatjerry.herokuapp.com here. 2. The initial step is to guide Wechat user to access the url with below format to get the necessary code. This code is used to get the access token in next step. 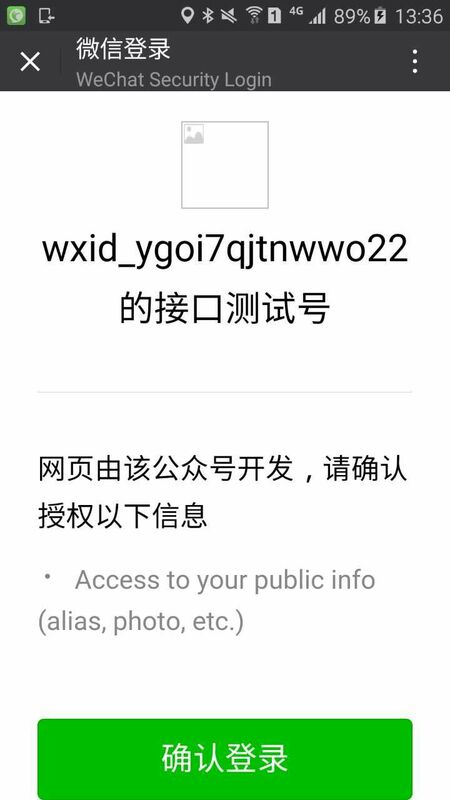 When a Wechat user clicks this url in his/her Wechat application, the following dialog will popup, which notifies current user that the third party application is trying to access your public information such as gender, nickname and avatar. 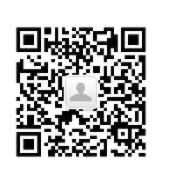 If the Wechat user accepts such access, he/she could press “确认登录”(Accept) button. 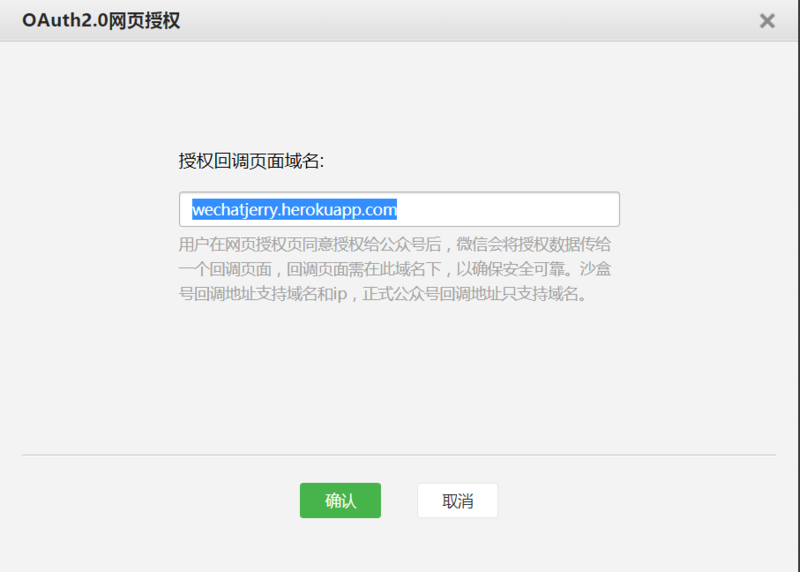 Once the button is clicked, the code will be generated by Wechat platform and send to the page specified by the callback url, in my example it is https://wechatjerry.herokuapp.com/tokenCallback. 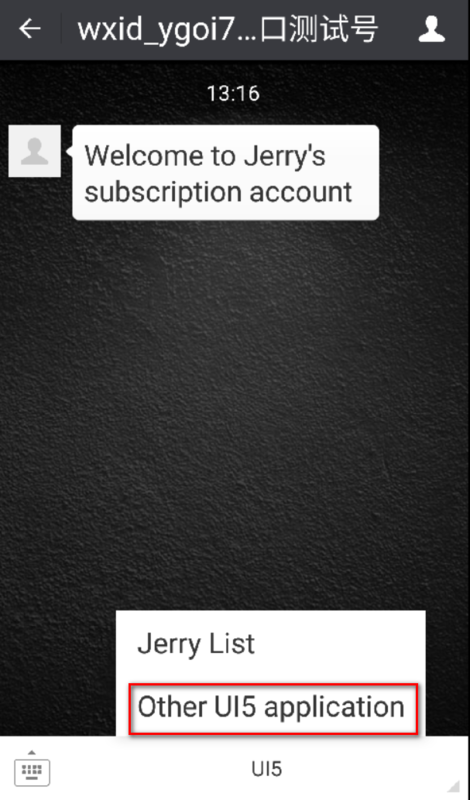 (2) Implement the logic in https://wechatjerry.herokuapp.com/tokenCallback to react to this code. 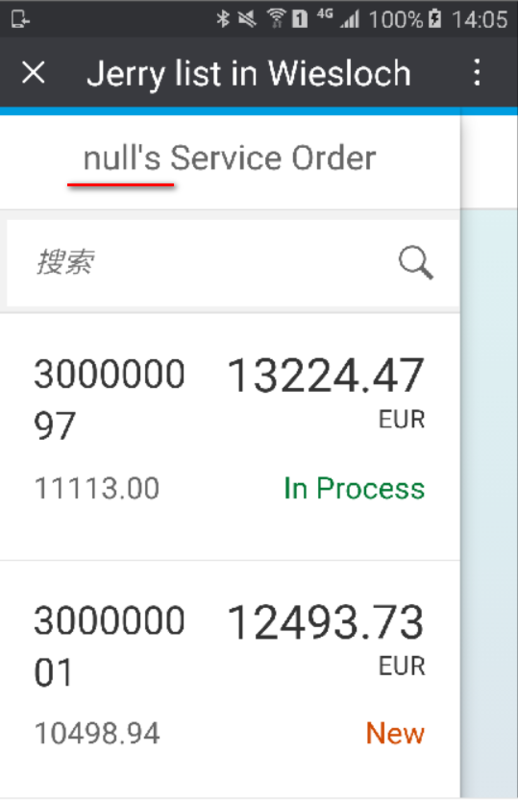 So far you should know how to implement a custom menu in Wechat app, which is described in Wechat development series 5 – embedded your UI5 application to Wechat app. Now create a new menu for Wechat user and once it is pressed, send out a html tag <a> with corresponding url. If user has pressed “Accept” button, the code will be send to the callback url, whose value is stored in req.query.code. This module basically finishes the highlighted two steps in Wechat document. 3. Nothing new now: previously the list title is bound to an i18n model, now I change the binding to bind title field to a JSON model field instead. In Component.js, create this JSON model accordingly and bind model field MasterTitle with the value fetched from url parameter. Micro Quiz Series: The funniest Java quiz questions.